(The Dipmlomat, by Samuel Ramani) — On July 3, 2017, Colonel Yaroslav Roshchupkin, a spokesman for Russia’s central military district, announced that the Russian military plans to hold joint military exercises with Uzbekistan’s military in October. These joint drills will take place at Uzbekistan’s Forish training facility, and are aimed at strengthening Moscow-Tashkent cooperation on a host of regional security issues. Even though Uzbekistan’s President Shavkat Mirziyoyev has expressed greater interest in bilateral security cooperation with Moscow than his predecessor Islam Karimov, Uzbekistan’s acceptance of Russia’s request for joint military drills constitutes a striking shift in the dynamics of the bilateral relationship. Uzbekistan has not held joint military exercises with Russia since September 2005, and has confined its recent cooperation with Moscow to informal displays of military solidarity, like Tashkent’s participation in Russia’s recent counterterrorism campaign in Tajikistan. 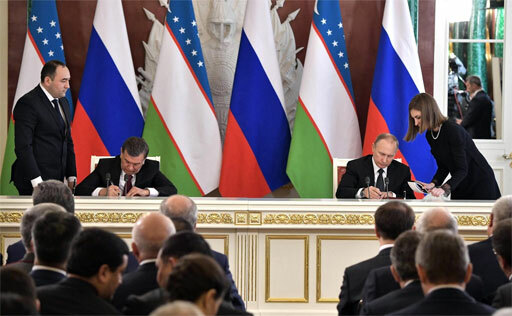 Uzbekistan’s decision to hold joint military drills with Russia is a highly significant development, as it opens the door for Uzbekistan to eventually rejoin the Russian-led Collective Security Treaty Organization (CSTO). In addition, a palpable synergy has emerged between the perspectives of Russia and Uzbekistan on instability in Afghanistan and Tajikistan, strengthening the foundation for durable cooperation between the two countries.